Hezbollah of the year 2006 is a pragmatic terrorist organization that is well-armed, well-trained, and equipped with highly sophisticated weaponry. It is far more dangerous than the revolutionary Hezbollah of the 1980’s due to both the means at its disposal and the double faced policy it employs. In effect, Hezbollah did not abandon its goals; it just changed the pace of their implementation. Hezbollah simultaneously operates both within the Lebanese political system and outside of it, a fact that allows it greater leeway in both arenas. The organization’s pragmatic façade has fooled, and continues to fool, researchers and actors in the international arena. Indeed, Hezbollah’s entrance into the Lebanese Parliament in 1992 and the Lebanese government in 2005 was perceived by many as an important first step that demonstrated the organization’s moderation and abandonment of its radical ideology. Hezbollah even implemented a series of measures intended to highlight the change it allegedly went through. Since the beginning of the 1990’s, Hezbollah has been making a tremendous effort to blur its image as a pan-Islamic terrorist group, while at the same time strengthening its image as a legitimate Lebanese resistance movement fighting an occupying army. As part of this effort, Hezbollah has limited the extent of its terrorist activities against Western targets in Lebanon and in the international arena. The organization only carried out “high quality” clandestine attacks, did not take official responsibility for the attacks and denied any connection to the operations. The attacks against Jewish and Israeli targets in Argentina (1992 and 1994) and the attack against Americans in the Khobar Towers in Saudi-Arabia (1996) are noteworthy examples of attacks with the aforementioned characteristics. Hezbollah’s operations against Israeli forces in Lebanon, as long as they did not fire at Israeli civilians, were perceived by the Lebanese population and the international public opinion as legitimate guerilla operations. UN Secretary-General Kofi Annan’s meeting with Nasrallah in June of 2000 gave the organization international legitimacy and many actors in the international arena continue to meet with Hezbollah leaders. Hezbollah was able to convince observers that its activity is focused on the sociopolitical arena in Lebanon and the protection of the country from Israeli aggression by serving as a deterrent. In September of 2004, Nasrallah stated that his organization operates in Southern Lebanon alongside the Lebanese military as part of a joint strategy with the Lebanese state intended to protect Lebanon. However, immediately following the Israeli withdrawal from Lebanon in May of 2006, Hezbollah began systematically taking over Southern Lebanon and creating a “state within a state”. It worked towards deepening its control over the population by taking over the social and welfare arenas and managing the civilian services. During this period and until the Second Lebanon War in July of 2006, Hezbollah established an operational network in Southern Lebanon that included: an extensive fortification network in open areas and in the villages along the international border, various advanced weaponry, headquarters, communications posts, weapons depots, rocket-launching sites and intelligence-collecting positions. Moreover, Hezbollah positioned advanced tactical and strategic weaponry in the arena, such as medium-range land rockets, thousands of Katyusha rockets, land to sea missiles, and advanced anti-tank missiles. These weapons, provided to Hezbollah by Iran and Syria, enabled the organization to build a substantial military framework that is unparalleled by any other terrorist group in the world. This reality created “mutual deterrence” with Israel, which had a significant portion of its population and vital infrastructure installations within striking distance of Hezbollah’s missiles. Hezbollah marketed its activity as intended to create deterrence in order to prevent future Israeli aggression against Lebanon and utterly rejected any plan that would disarm the organization by threatening, both blatantly and implicitly, the stability of the Lebanese political system if such a measure would be employed against the organization. However, when one examines Hezbollah’s activity, institutions and behavior in the international and regional arenas in depth, a very different picture from the one Hezbollah tries to portray emerges. The Shura Council, the organization’s executive board, is in command of its military and terrorist operations on the one hand and its social and political activity on the other hand. Imad Mugniyah, who is in charge of the organization’s clandestine terrorist branch in Lebanon and abroad and is wanted by the American government for planning and conducting terrorist attacks, also serves on the Shura Council. Moreover, “slips of tongue” made by the organization’s leaders from time to time reveal the true reality. For example, in January of 2002, Hezbollah parliamentary representative Muhammad Fanish stated that “one cannot separate between Hezbollah’s military branch and its political branch”. The Second Lebanon War clearly exposed Hezbollah’s true nature as a terrorist organization. Hezbollah deliberately fired Katyusha rockets at Israeli civilians and population centers, and Nasrallah even warned that his organization would expand the firing of rockets at Tel-Aviv. In addition, Nasrallah’s live appearance on the “Al-Mannar” television station in which he updated the viewers regarding the firing of a “land to sea” missile at an Israeli cruise ship in “real time” demonstrated, despite the organization’s attempts at blurring this fact, the extent of involvement and control the organization’s leadership has over the operational activities. Moreover, when a Hezbollah rocket attack killed two Israeli Arabs during the Second Lebanon War, Nasrallah delivered a personal apology and took responsibility for the operation. Hezbollah is not a state actor and cannot pose a real existential threat to any actor in the international arena. However, its “sting” is still very dangerous and it can wreak a great deal of damage. The organization is well aware of the limitations of its power and it therefore carefully navigates its path between the various actors. Hassan Nasrallah, the organization’s leader since 1992, adopted the policy of “brinkmanship” in his relations with the Lebanese, regional and international systems and he has been able to take advantage all the arenas in which Hezbollah operates. Hezbollah in the intra-Lebanese arena – Nasrallah operates in the intra-Lebanese political system and works to assuage the Lebanese population’s concerns regarding the implementation of Sharia law in Lebanon, while at the same time working to establish a terrorist and organizational infrastructure in the Lebanese, regional and international arenas. His political activity in the Lebanese arena is an example of the organization’s pragmatic ability to separate between the religious Shiite ideology that is based on “the rule of the jurisprudence” and pan-Islamism, and the daily task of operating within the existing system in order to achieve the organization’s long term goals. Hezbollah simultaneously operates both within the Lebanese political system, thus exploiting the advantages it provides, and outside of the political system, as a “state within a state” that Hezbollah established and runs. Hezbollah in the regional arena – Hezbollah maintains a close relationship with Iran and Syria, which are both state sponsors of terrorism. This relationship is an important and powerful factor influencing the organization’s capabilities, as Hezbollah enjoys military, political and financial support from both countries. The strategic defense pact signed between Iran and Syria in June of 2006 strengthens Hezbollah’s position and ensures the continued military and financial support even after the Second Lebanon War. Ahmadinejad’s election to the Iranian presidency, which signifies the rise of radical elements in Iran, his self-perception as the promoter of the “second Islamic revolution”, and the mounting crisis surrounding the Iranian nuclear program turns Hezbollah into one of the components of the Iranian retaliation. Iran might use Hezbollah in order to promote the goals of the Islamic revolution, further Iranian interests in the Middle-East, and serve as a retaliatory force in case the crisis surrounding the Iranian nuclear program deteriorates. Hezbollah in the Palestinian arena – Hezbollah, as an Iranian proxy, put a lot of effort into promoting terrorist attacks in the Palestinian arena as a central means of disrupting any possible agreements or political initiatives between the Palestinian Authority and Israel. Hezbollah maintains ties with senior leaders of Palestinian terrorist organizations, including: Hamas, Palestinian Islamic Jihad, Fattah – Tanzim, Jibril’s Popular Front, etc. It encourages them to carry out attacks, funds their activities, trains Palestinian terrorists in its Lebanese camps, smuggles weapons and passes on knowledge and information to Palestinian terrorists. In certain cases, Hezbollah directly operates cells to carry out attacks by funding and guiding the activists. Hezbollah Vs. Israel – Hezbollah maintains an ongoing state of conflict and attrition with Israel both directly from the Lebanese border and indirectly, by guiding, funding and training Palestinian terrorists. The objective of this ongoing activity is the destruction of the state of Israel. Following Israel’s withdrawal from Lebanon in May of 2000, Hezbollah continued to carry out direct terrorist attacks against Israel from Lebanese territory, while assuming it could deter Israel with its array of approximately 13,000 Katyusha rockets and various missiles. Nasrallah adhered to his policy of “brinkmanship” in this case as well and conducted cost-benefit analysis for every attack against Israel. However, the Israeli retaliation for the kidnapping of two of its soldiers in July of 2006 disrupted Nassrallah’s plans, as he had hoped to exploit the kidnappings to improve his standing as a regional and Lebanese leader. The Israeli retaliation demonstrated Hezbollah’s failure to deter Israel and Hezbollah admitted it did not foresee Israel going to war over the kidnapping. The Second Lebanon War created a new situation in Lebanon. It caused substantial damage to Hezbollah’s infrastructure and standing in Lebanon, the Lebanese Military, with the help of international forces, is currently taking control over the territory in which Hezbollah operated freely, and the Lebanese government increased its involvement in Southern Lebanon. It is still too early to evaluate the direction in which this process will develop in the intermediate and long run since the process is still at its beginning. It is absolutely clear that it largely depends on the degree of resolve and determination of the Lebanese government, which will be forced, at one point or another, to confront Hezbollah, set clear guidelines for the organization, and be willing to pay the price for this confrontation. Hezbollah in the international arena – Over the past two decades, Hezbollah established its international terrorist network infrastructure in over 40 countries and it centrally controls it through the Shura and Jihad Councils headed by Nasrallah and Imad Mugniyah. This international terrorist network, whose cells have attempted and conducted terrorist attacks since the 1990’s, is the most organized terrorist network in the world and is a threat to the interests of Israel, the US and Western states that classified Hezbollah as a terrorist organization. Hezbollah’s international terrorist network is used for gathering intelligence, attacking Jewish, Israeli and Western (mostly American) targets worldwide, purchasing and smuggling weapons, and as a source of funding for the organization’s activities. Hezbollah and Jihad in Iraq – Hezbollah is one of the leaders of the media campaign against the American involvement in Iraq, but it does not limit itself to that. Hezbollah funds radical Iraqi Shiite elements and established a clandestine network in Iraq with operatives that cooperate with local and Iranian elements. Together they are involved in carrying out attacks against American targets in the country. 1. The ability to establish effective operational capabilities that rely on external and internal sources and are comprised of an effective and hierarchical organization of the movement, military capabilities, financial funding and enforcement of organizational authority. 1. Obtaining legitimacy for Shiite activism – Until the time of Khomeini’s rule, the Shiites were passive and oppressed due to their being a minority within the Muslim world (90% of which are Sunni Muslims). Under Khomeini, the Shiites underwent a change and became an active group that strives to achieve political goals, including the use of violent measures. Khomeini called for action by the “oppressed” (Shiites) against the “oppressors”. 2. Delegitimization of corrupt Muslim regimes – Khomeini classified the regimes that do not follow Sharia law as corrupt and illegitimate, thus sanctioning the means to overthrow them. 3. Joining the Jihad against corrupt Arab rulers and the West as a means to promote the idea of the Islamic nation. 4. Defining the enemy – Khomeini coined two phrases that defined the enemies of Islam: the “Great Satan” – the US, and the “Little Satan” – Israel. 5. The principle of sacrifice – Khomeini reformulated the principle of sacrifice. He advocated a transition from the state of sacrifice to the state of self sacrifice through Jihad against the enemies of Islam. In such, Khomeini founded the basis on which the phenomenon of suicide attacks as a strategic means for terrorism to achieve its goals developed. Hezbollah adopted the idea early on and carried out suicide attacks against foreigners in Lebanon between 1983-85. This method of operation was later adopted by other terrorist organizations. 6. The principle of “the rule of the jurisprudence”. According to Khomeini’s approach, religious scholars need to run the Islamic state since they are the only ones that can interpret God’s laws. This principle is unique to the radical Shiite thought and is strictly followed by Hezbollah as well. 1. Implementation of Islamic law in Lebanon as part of a universal Islamic revolution – this objective has always been part of Hezbollah’s agenda, though the organization’s leaders attempted to blur this point since the 1990’s in order to promote current objectives in Lebanon. However, this strategy did not escape the eyes of Arab liberals, who are concerned over the strengthening of Hezbollah in Lebanon, and they made sure to stress that the organization did not abandon its goal of establishing an Islamic republic in Lebanon. This issue became increasingly heightened following Ahmadinejad’s election to the Iranian presidency and the Second Lebanon War. 2. Expulsion of the foreign forces in Lebanon – this was one of Hezbollah’s primary goals and it took much pride in the fact that it was the cause for the expulsion of the multi-national forces from Lebanon in the 1980’s and the expulsion of Israel from Lebanon in 2000. Hezbollah claims its mission is not complete as long as the Shebba farms are in Israeli hands and, therefore, there is a need for the continuation of the “resistance” in its current form. In his speech on Friday, September 22nd, 2006, Nasrallah stressed that the “resistance” is a consequence of the occupation, the prisoners, the theft of water, and the attacks against Lebanese sovereignty. He added that until all the reasons that brought about the establishment of the “resistance” are not removed, the “resistance” will not disarm. Regarding the multinational forces that arrived in Lebanon, Nasrallah issued a veiled threat and a recommendation that they concentrate on their mission of aiding the Lebanese Army and not attempt to spy on Hezbollah or try to collect weapons from its members. 3. The destruction of Israel and the liberation of Jerusalem – One of the pillars of Hezbollah’s ideology is the struggle against the state of Israel (the “Little Satan”) until its destruction and the liberation of Jerusalem. Due to this principle and in order to achieve this objective, Hezbollah feels committed, ideologically and in practice, to strive for an ongoing conflict with Israel with all means possible on all fronts. In light of this, Hezbollah constantly stresses its basic approach to Israel and its goal to destroy it. As a result of Hezbollah’s aforementioned attitude towards Israel, it rejects the possibility of any future accords with Israel, any possibility of recognizing its existence as a national entity in the region or of any co-existence with Israel. Hezbollah is very ardent about expressing its strong objections to any attempt at reconciliation in the region while strongly criticizing those who negotiate with Israel in order to increase the pressure on them in the Arab “street”. In the past few years, special emphasis has been placed on preventing any agreements between Israel and the Palestinians while maintaining the level of violence and terrorism in the territories. Hezbollah’s terrorist attacks targeting Israeli civilians receive ideological legitimization in the same way Sheikh Yusuf Qardawi, one of the most senior members of the “Muslim Brotherhood”, legitimized the attacks. The legitimization for attacks against civilians is based on Nasrallah’s portrayal of the Israeli population, including women, children and the elderly, as a “military population” that does not have innocent civilians. There is a duty to fight each and every one of its citizens. Hezbollah demonstrates deep animosity towards The US. This animosity, which is one of the central facets of the organization’s ideology, is a direct result of the Iranian revolutionary outlook that defined the US as the “Great Satan”. Hezbollah claims that the goal of American policy is to take over the entire region and strip the Arabs of their natural resources, with Israel being one of the tools for this plan. Since the US began its campaign against international terrorism following the attacks of 9/11 and in light of the continuation of the American presence in Iraq, the Iranian nuclear program crisis, and the Second Lebanon War, Hezbollah has significantly increased its level of inciting rhetoric and propaganda against the US and its policies. Indeed, the Second Lebanon War is perceived by radical Islam, including Nasrallah, as an additional phase in the American conspiracy intended to take over the Middle East and its resources. It views Israel as an American proxy for attaining its objectives in Lebanon. The chants of “death to America and death to Israel” are often heard during Hezbollah ceremonies and rallies in Lebanon, in Iran, and amongst the organization’s supporters around the world. Hezbollah’s messages of hate and propaganda are distributed through the Al-Mannar television station, the Nur radio station, and internet websites operated by the organization. Other Arab television stations assist in disseminating the messages of hate by providing a media platform for Hassan Nasrallah, who enjoys a large degree of popularity in the Arab world, and by quoting Al-Mannar and other Hezbollah media. During its more than twenty years of operation, Hezbollah went through a very significant process of organizational development. It was transformed from one of many local Lebanese terrorist organizations operating in the Lebanese arena into a political movement with international reach in the fields of terrorism, military infrastructure and strategic capabilities, including ground-to-ground rockets. This complex organizational framework, which includes civilian, military and social functions, is headed by the decision-making “Shura Council”. The Council has been headed since 1992 by Sayd Hassan Nasrallah – the leading formulator of the organization’s policy. Hezbollah operates through the use of two “arms”: the “sociopolitical arm” and the “military arm”. Both “arms” are interlocked, support each other, and are subject to Hezbollah’s “Shura Council”. On January 18th, 2002, Hezbollah parliamentary representative Muhammad Fanish clarified the nature of the relationship between the two arms when he stated: “Hezbollah is being seduced in order to stop it. The goal is not to harm the political arm, but rather the military arm. However, I can state that there is no separating between Hezbollah’s military and political arms”. In the period since Hezbollah’s inception, an organizational and hierarchical system began developing based on the institutions and group leaders that founded the organization. This organizational system maintained complete secrecy during its first years, until 1986 when the organization revealed the existence of its leadership council – the Shura Council. 2. The Executive Council – The council is headed by Hashem Safi Al-Din and is responsible for the organization’s social activity, manpower and education. This council has territorial responsibility and, as a result, is also connected to the organization’s operational and terrorist activities. One of the prominent members of the council is Sheikh Nabil Kauk, who is responsible for the southern region and as such is also involved in the organization’s terrorist attacks launched from that region throughout the 1990’s and until today. 3. The Political Council – The council is headed by Sheikh Ibrahim Amin Al-Sid. It includes the Parliament members and is responsible for the activity in the Lebanese political arena and the implementation of the chairman’s policies in the Parliament. 4. The Political Advisor – Hajj Hussein Halil. Responsible for promoting the organization’s policies and political interests vis-à-vis organizations, parties, and political entities inside and outside of Lebanon. 5. The Judiciary Council – Sheikh Muhammad Yazbek. The Council is responsible for the judicial system in the Hezbollah-controlled areas, especially the Shiite villages. The current Shura Council was elected in August of 2004 and the previous elections took place in July of 2001. The majority of the members on the “Shura Council” have been serving on the Council alongside Nasrallah since the early 1990’s. All of its members, except the head of the Jihad Council Imad Mugniyah, are religious scholars. The Council is responsible for running all of the organizations components - military, political and social - and it is involved in all of the organization’s activities in the Middle Eastern and international arenas. The council makes strategic decisions regarding the organization’s terrorist activities locally, regionally and abroad and all decisions concerning sociopolitical policy in the Lebanese, regional and international systems. The council’s decisions are constantly implemented in the field. All of the heads of the secondary councils participate in the Shura Council and through them the Council controls the organization. Therefore, in effect, the Hezbollah is an organization that is directed by a unified leadership that controls all the components of the organization, including its military-terrorist activity. The organization’s senior members have clarified more than once that Hezbollah and all of its branches are a single organic unit whose policy and activity are decided by its leadership. For example, when asked “who makes the decisions regarding operations – the activists in the field or the political leadership?” Nasrallah answered “the Hezbollah leadership…the organization’s leadership is the resistance’s leadership and it is the one to consider all the information, the resistance’s interest and its operational policy. The brothers in the field are the ones who carry out the policy”. The rise to power of radical elements in Iran, of which Ahmadinejad is a good example, and the Second Lebanon War rekindled the question regarding the extent of cooperation between Iran and Hezbollah. It is interesting that while Nasrallah makes sure to emphasize that Hezbollah is primarily an independent Lebanese movement with a only a religious affiliation to the supreme leader Khamenei, senior Iranians and the Arab network see Hezbollah as an Iranian forward unit in Lebanon and the ultimate product of the export of the Islamic revolution. In an interview he gave to the Iranian newspaper “Al-Sharq”, Ali Akbar Mohtashemi [one of Khomeini’s loyalists, one of the founders of Hezbollah, former Iranian ambassador to Syria and Lebanon, and former Iranian Minister of Interior] addressed the relationship between Hezbollah and Iran. 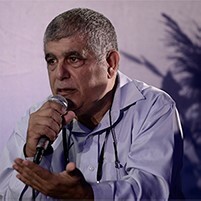 He stated that “Hezbollah is part of the Iranian rulership; Hezbollah is a central component of the Iranian military and security establishment; the ties between Iran and Hezbollah are far greater than that those between a revolutionary regime with a revolutionary party or organization outside its borders”. Iran provides Hezbollah with approximately 100 million dollars annually and supplies it with an array of arms, mostly via the Damascus airport. Hezbollah’s operational infrastructure was developed, almost entirely, with extensive Iranian backing. This aid included financial support, transportation of weapons, and training the organization’s activists. Iran views Hezbollah’s consolidation in Lebanon as a great success in the "export of the Islamic revolution". Even after Israel's withdrawal from Lebanon, Iran continues to see Lebanon as its frontline against Israel and Hezbollah as a key factor in leading the struggle. For this reason, Iran continued to strengthen Hezbollah’s military capabilities and consistently supported the continuation of Hezbollah’s terror operations along the Israeli-Lebanese border. 1. Training and instructing Hezbollah activists in military and operational subjects, including advanced courses in Iran. 2. Transfer of military aid by air, via Damascus international airport, and through the "Quds Brigades" to Lebanon. Since Israel’s withdrawal from Lebanon, the Iranians meticulously built up Hezbollah’s military and operational capabilities. Over the years, large quantities of top-quality weapons have been transferred to the organization, including: advanced anti-tank missiles, katyusha rockets, cannons and various anti-aircraft missiles, SA-14 and SA-7 shoulder missiles, small-scale naval warfare equipment, ultralights, UAVs, and advanced weapons systems such as ground-to-ground long range rockets. It would appear that there is no terror organization worldwide that benefits from such a massive ongoing and regular supply of top-quality arms. Iran helped, and is still helping, Hezbollah build its global terrorist network. Iran also helps the organization operate its network with agents from its security forces and the Iranian Revolutionary Guards, which operate from Iranian embassies worldwide. During Hafez Al-Assad’s reign, Hezbollah was a Syrian proxy terrorist organization. Syria was the reigning power in Lebanon and it controlled the activities of the various elements in Lebanon, including those of Hezbollah. Hezbollah did not completely submit to Syria's authority and from time to time there were even differences of opinion between the two. In recent years, Syria mostly used diplomatic tools to restrain Hezbollah: It summoned their leaders to Damascus for clarifications, it involved Iran and demanded that Iran use its influence with the organization, and, in certain cases, it even threatened the organization. The "special" status which the organization enjoyed and the "forgiveness" which Syria demonstrated, even when its own interests were harmed by the organization's acts, mostly emanated from Syria’s need to maintain the strategic alliance with Iran. 1. Syria provides Hezbollah with military assistance, which is a deviation from the patterns formulated during the rule of Hafez Al-Assad. Syria transferred Syrian manufactured long-range rockets, Russian anti-tank missiles, and, possibly, improved anti-aircraft missiles to Hezbollah, in complete contradiction to the policies enforced during Hafez Al-Assad’s rule. 2. Syria provides Hezbollah with political backing in the intra-Lebanese and international arenas and widespread maneuverability within Lebanon in order to establish itself in Lebanon and continue its activities in Southern Lebanon: this activity is intended to prevent the Israeli-Lebanese border from turning into a quiet border and to ensure a controlled level of tension. Hezbollah’s ideological platform, published in February of 1995, defined itself as part of the Islamic nation facing the Western attack that sees the Iranian Islamic regime as a pioneer for the Islamic nation. It also noted that the main enemies in the region are: Israel, the US, France, and the SLA and that the operational strategy against these enemies is resistance. Although these numbers include the Iranian attacks, it points to the potential in the Iranian-Shiite system to carry out terrorist attacks in the international arena. Moreover, it should be stressed that Hezbollah’s 2006 international terrorist network is much broader and well established than that of the 1980’s and 1990’s. Hezbollah has been promoting the goals of the Islamic revolution since its inception. 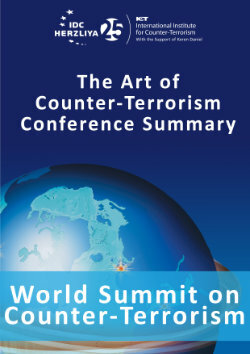 It placed the use of terrorism in the center of the asymmetric conflict strategy that it conducts against its opponents. One of its central components is the “suicide weapon”. At the same time, Hezbollah carried out an operational strategy aimed at achieving its objectives and spreading its influence to all of the Shiite population. This strategy combined the use of preaching based on religious indoctrination backed by welfare activity and education, and the use of terrorism as a means of broadening the potential recruitment and support pool. Already in the 1980’s, Hezbollah attacks were characterized by innovation, professionalism and a high level of daring that was new to the Lebanese arena. This was due largely to the implementation of the principle of sacrifice by the organization’s activists, who blew themselves up against multinational forces and IDF targets in Lebanon. Moreover, the organization’s activity in Lebanon had the professional fingerprints of the Iranian Revolutionary guard who trained Hezbollah for their attacks and supplied them with explosives, weapons, and technological equipment. Analysis of the organization’s operational characteristics from its inception to the present indicates a continuous improvement in the organization’s activists level of operational capabilities and the technological means they use in order to circumvent the defensive measures the IDF used in Lebanon and security apparatuses used around the world. Following the IDF’s withdrawal from Southern Lebanon, Hezbollah began building a broad military network that included: thousands of rockets and missiles, headquarters, fortification systems, command and control posts and intelligence positions along the international border as part of the Shiite-Iranian axis’ attempt at creating a “balance of terror” vis-à-vis Israel with the threat of Katyusha and middle range rockets in any future confrontation. This also provided Iran with an additional deterrent in case of a deterioration in the Iranian nuclear program crisis that can be operated on short notice. The mutual deterrence that developed was perceived by Hezbollah as a means that provided it with a wide margin for operations in order to promote the organization’s interests in the Lebanese and regional arenas. Under its protection, Hezbollah carried out cross-border firings, bombings, attempted kidnappings of Israeli soldiers and recruitment of Israeli Arabs for intelligence collection and carrying out terrorist attacks in Israel throughout the period. The kidnapping of two Israeli soldiers on July 12th, 2006, by Hezbollah activists sparked the Second Lebanon War. The ceasefire agreement that took effect on August 14th, 2006, after 32 days of fighting serves as the basis on which, in one way or another, a new order in Lebanon will take place. The war created a new strategic situation in Lebanon and the regional arena that has influenced, and will continue to do so in the future, the actions of the Hezbollah-Iran axis in the short, medium and long term. This strategic situation is still developing, a fact that can still lead to the weakening of Hezbollah and its eventual disarmament on the one hand, or, on the other hand, to an intra-Lebanese crisis that will enable Hezbollah to survive this current crisis and rehabilitate its capabilities prior to the next round of violence. The stability of the Lebanese government is critical for the formulation of the new strategic situation in Lebanon and channeling it in the direction of weakening Hezbollah. Hezbollah, on its part, will make a serious effort to try and prevent the Lebanese government from manipulating the situation in this direction. It will try and do so by using a “show of force”, such as the “victory rally” it held on Friday, September 22nd, 2006, which was attended by thousands of Hezbollah supporters, or with more violent means in order to prevent further erosion of its status in Lebanon. 1. A dramatic decrease in Hezbollah’s military capabilities, infrastructure, manpower, weapons, and operational space. 2. Hezbollah lost its exclusive control of Southern Lebanon, which was transferred back to the Lebanese state and the multinational forces. This could bring about an increase in the strength of Hezbollah’s opposition, both within and outside of the Shiite group. Until recently, there were only sporadic attempts, and mostly declarative, to try and challenge Hezbollah and reduce its power. 3. The war created an opportunity to halt the uninhibited shipping of large quantities of weapons to Hezbollah from Iran and Syria – this could limit the organization’s ability to produce firepower at the same extent and pace it did in the past war. 4. Reduction in Syria’s ability to transport weapons to the Lebanese arena and the pointing of the finger in the direction of the Iranians might slow down the pace of Hezbollah’s rearming. 5. Hezbollah will have to fight again over the “heart” of the Shiite population in light of the damages this population suffered, though this time it will be against increased involvement of the Lebanese government and other rivals in this arena. 6. The war brought the issue of disarming Hezbollah to the forefront of the Lebanese agenda – this issue will put additional pressure on the Shiite-Iranian axis. 7. The Shiite-Iranian axis found itself isolated during the war in the face of a broad Arab front that formed against it, specifically Egypt, Saudi Arabia and Jordan. The common denominator for these countries was the desire to minimize the power of the Shiite-Iranian axis and its ability to create regional crises. It is likely that these efforts will continue in the future. a. Increase its encouragement and initiation of attacks in the Palestinian arena and inside Israel through the use of Palestinian terrorist organizations or Israeli Arabs. b. Establish new operational arenas abroad against Israeli and American targets (Hezbollah identified America as the central element that supported Israel). c. Take part, in one way or another, in promoting terrorist operations in the Golan Heights as part of the Syrian-Iranian alliance, which fits Assad’s latest statements regarding other possible methods for freeing the Golan Heights. 9. Tactical level – Hezbollah will try and maintain its capabilities in Southern Lebanon under a deep cover of secrecy, rehabilitate its infrastructure in the open and in the villages by relying on its activists that live in these villages, and gradually and consistently erode the agreements until the time is right for it to initiate activity along the border, even at the “risk” of a local confrontation with the Lebanese Army or the multinational forces. Iran will continue to support and back Hezbollah in any possible way, overtly and covertly, by transferring funds directly to Hezbollah in order to rehabilitate Southern Lebanon, transferring weapons to Hezbollah, and continuing to train the organization’s activists on the operation of sophisticated weaponry. The anarchy that took over the Palestinian Authority during the Al-Aqsa Intifadah enabled Hezbollah to become an influential force in the West Bank and Gaza. Hezbollah established a network of terrorist cells in the territories, trained them - including in their training camps in Lebanon - in explosives, the manufacture of arms, combat techniques and how to perpetrate attacks. It activated these cells and used them to carry out attacks. In addition, according to Israeli intelligence sources, in 2004, Hezbollah financed many terror cells that operated in the territories with a sum ranging from $750,000 to $1.5 million dollars a year. During 2005, the organization strived to put an end to the relative "calm" that existed (regarding the terror attacks) and raised the sum paid for a suicide attack to $100,000, while in the past the amount was only $20,000. 1. The military route: providing military assistance, including the supply of arms, smuggling them into the territories, training operational activists, establishing terror networks in the territories, and enlisting Israeli Arabs to carry out terror attacks and intelligence gathering. 2. Operational activity from the Lebanese border: Hezbollah perpetrates attacks from the Israeli-Lebanese border in order to help the Palestinian struggle. 3. The financial route: The transfer of funds to terrorist organizations operating in the territories. 4. The public relations-propaganda route: Hezbollah placed its media, in particular its Al-Mannar TV station, at the disposal of the Palestinian armed struggle and it broadcasts communications whose focal points are the continuation of the violence and the resistance to negotiations and to ending the confrontation. Currently, only five countries (US, Canada, Australia, Holland and Israel) classified Hezbollah as a terrorist organization. Several European countries differentiated between Hezbollah and what they termed an "external security organization". Since its inception in 1982, Hezbollah has been conducting a global terror policy parallel to its Lebanese activities. This includes establishing operational and logistical networks worldwide and perpetrating attacks against Israeli and American targets. During the 1980’s, Hezbollah was behind a series of attacks against Western targets as part of Iran’s policy. In the 1990’s, Hezbollah lowered its profile of activities against the West (due to a change in the Iranian policy) and focused on carrying out terrorist attacks against Israeli and Jewish targets while relying on the infrastructure it built around the world. Hezbollah conducts vast activity in the international arena. It cooperates with other Islamic terrorist organizations in various countries worldwide. The international network established by Hezbollah in over 40 countries worldwide enables it to perpetrate attacks against targets in the international arena within a short time frame. This network is controlled by the Shura Council, though the operational network itself is headed by Imad Mugniyah, who is a member of the Shura Council and head of the "Jihad" military council. The organization's operations within the international arena were carried out mainly against Israeli, Jewish and American targets. The establishment of Hezbollah’s infrastructure in the global arena is based on the same principles that guide the organization’s activities in Lebanon and the infrastructure is managed by the same decision-makers. In essence, this approach stipulates a methodical formation of global operational capabilities that would provide flexibility in deciding to carry out an operation and shorten the organization’s response times. It is likely that the expansion of the organization’s operational infrastructure abroad suits Iranian interests, which sees Hezbollah as one of the components of its retaliation in case of a military or diplomatic crisis surrounding the Iranian nuclear program. The calls to open a second front against Israel abroad are not new. They already appeared implicitly during the 1990’s. Moreover, the thwarting of attempted attacks and the arrest of Hezbollah cells in various places around the world in the late 1990’s and the current decade demonstrated that Hezbollah is still continuously operating in this arena. In fact, during the Second Lebanon War, several senior Iranian figures with ties to the establishment called for attacking Israeli and American targets around the world. In July of 2006, Hossein Shariatmadari, who is the editor of the Iranian daily newspaper “Keyhan” and close to Khamenei, stated that “the retaliation against Israel’s crimes in Gaza should not be limited to the occupied lands”. In an interview with the conservative Iranian Mehr news agency, Shariatmadari stated that the Islamic world does not need to limit its retaliation against the Zionists’ attacks to the Gaza strip, but rather ensure that “no Zionist should feel safe anywhere in the world”. An additional Iranian source, the Fars News Agency, reported that the commander of the Iranian Revolutionary Guard, Yahya Rahim Safavi, delivered a speech to the Basij and Revolutionary Guards forces on 30/7/06 in which he told them to be prepared to retaliate against Israel and the US. It is likely to assume that, in light of the Iranian deterrence policy regarding its nuclear program, Iran helps Hezbollah expand and consolidate its operational infrastructure in the global arena through its offices and consulates around the world. It can also be assumed that, in light of the strategic defense pact between Iran and Syria, Syria might support and assist Hezbollah activity abroad. Hezbollah’s activity in the international arena is fairly “easy”, since it was only classified as an international terrorist organization by just five countries (US, Canada, Australia, Holland and Israel), can operate without interference abroad, and establish a very broad infrastructure of activists and supporters. The lack of an accepted international definition of terrorism prevents international cooperation in the fight against Hezbollah and its infrastructure. This fact, in addition to international actors’ fear of getting involved in violence and terrorism saturated regions so as not to harm their interests, play into the hands of Hezbollah. Even during the 1980’s, when Hezbollah frequently carried out attacks against international actors, the international system had difficulty cooperating in order to create effective pressure that would curb or eliminate the organization. Without a basic agreement that Hezbollah is a terrorist organization, the international system’s influence on Hezbollah will remain extremely minor. 1. Collecting operational intelligence on defined targets. 2. Maintaining "sleeper" cells in various countries. 3. Fundraising for the organization's operations through donations from wealthy donors, charities, and income from various crime: smuggling cigarettes, drugs, and diamonds, forging documents and credit card fraud. The organization operates independently or in collaboration with crime organizations in various places all over the world. 4. Purchasing and smuggling arms – mostly advanced technological weaponry which the organization needs for its operational activities. Hezbollah uses its activists outside Lebanon (temporarily or permanently), "innocent" businessmen and companies that Hezbollah established (some of them "front companies"). The equipment obtained includes computers, night vision equipment, GPS navigation instruments, mine detectors and aviation computer programs. Several cases that were exposed in the past few years in the US, Canada and the tri-border area indicate that Hezbollah conducts vast amounts of activity in this field. The first period - The decade of the 1980s. During this period, Hezbollah perpetrated a series of terror attacks, including suicide attacks, hijacking aircrafts, and kidnapping Western hostages in Lebanon and abroad. Hezbollah laid the foundations, with Iranian help, for its network of international activists and collaborators. The second period - Since the beginning of the 1990’s. During this period, Hezbollah changed its modus operandi in the international arena. It began expanding and establishing its operational and logistical infrastructure. At the same time, it reduced the scope of its attacks in this arena and concentrated on planning and perpetrating attacks against "quality" targets. Hezbollah attacked Israeli and Jewish targets worldwide. The most well-known attacks carried out by the organization were in Argentina. Since 1994, Hezbollah did not carry out any attacks outside the Middle Eastern arena on a scope similar to the attacks in Argentina. However, its activists continued to gather intelligence, plan, and initiate attacks against Western targets that were foiled during various stages of the planning and implementation. Hezbollah maintains its readiness to perpetrate attacks in the international arena as soon as a decision is made. This operational capability gives the Iranian and Syrian regimes a potential weapon they can activate in the future. In the past decade, intelligence agencies and security services worldwide have reported the arrest of Hezbollah cells in their countries and the foiling of the organization's planned attacks in various places around the world. Hezbollah’s global network is spread out over more than 40 countries and five continents and, in contrast to Al-Qaeda, is controlled from Lebanon by the organization’s Shura Council and directly by Imad Mugniyah. As mentioned above, Hezbollah conducts a wide array of activities in all the continents, mainly amongst Lebanese Shiite communities. 1. Hezbollah is involved in international crime, including narcotics, counterfeiting, dealing in stolen goods, smuggling and fraud. This activity is intended to promote several important Hezbollah goals: the creation of a significant independent source of funding in addition to the funding from Iran and exploiting professional criminal elements in order to improve the organization’s operational capabilities. These networks primarily operate in the Middle East, South America, Europe and Africa. A preaching and indoctrination network, which is vital for recruiting activists. It is based on Islamic centers, the internet, Al-Mannar television channel, and personal ties. A financial network that is based on criminal activities. An operational network that raises funds, smuggles activists and weapons, and collects intelligence on potential targets. A procurement network responsible for procuring/stealing weapons for Hezbollah’s use. The liaison element to the operational ranks in Lebanon – in the majority of the affairs that were exposed, it turned out that activists communicated with the organization’s leadership in Lebanon, some even communicated directly with Imad Mugniyah. 3. Hezbollah cells that were exposed abroad maintained local ties within the countries, regionally, and with the organization’s leadership in Lebanon. For example, several Hezbollah cells that operated in various US cities communicated amongst themselves, as did American and Canadian activists. Likewise, the Hezbollah cell that was exposed in the tri-border area maintained ties with local activists, regional activists and with Lebanon. Hezbollah cells were uncovered in the US and in Canada. Hezbollah maintains a broad infrastructure of activists in the tri-border area (Argentina, Brazil and Paraguay), which is involved in criminal activity, terrorism, logistical support and funding. Operations in the tri-border area serve as an important source of income for Hezbollah. In addition, Hezbollah maintains a presence in other countries in the continent, including Colombia, Venezuela, Guatemala, Panama, Costa Rica, Chile and Mexico. Hezbollah has a presence in many European countries including: Russia, the Balkans, Sweden, Norway, Switzerland, France, Belgium, Denmark, Greece, Ukraine, Romania, Italy, Turkey, Cyprus, Holland and Spain. Hezbollah’s presence and activity in Germany is especially noteworthy since it is overt and known to the German security services. The “Federal Protection of the Constitution” annual reports indicated that Germany has over 800 known Hezbollah activists. Some of these activists took part in terrorist activities while others participated in organizational activity, which included fundraising, recruiting activists into the organization, and training them to carry out attacks – for example, the case of Stephen Smirk who was recruited in Germany and sent to Israel to perpetrate attacks. Hezbollah is also involved in criminal activities in Germany as part of its international smuggling network that deals with smuggling and counterfeiting. At least in one case, in December of 2004, a German court refused to grant German citizenship to a Hezbollah activist due to his membership in the organization, which was perceived by the courts, in contrast to the state's position, as a terrorist organization. Hezbollah has a widespread organizational network in Asia, especially in the Middle East. The organization is also active and maintains a presence in Turkey and China. South East Asia - presence in: Singapore, Malaysia, the Philippines, Indonesia, Thailand, Korea and India. Reports on the activities of this network indicate that the organization's activists gathered intelligence on Jewish synagogues in Manila and on the El Al offices in Bangkok. In 1994, an attempted car bombing against the Israeli embassy in Thailand was foiled due to an accident. It was also reported that Hezbollah is recruiting local activists from Southeast Asia and sending them for training in Lebanon in order to prepare them to carry out attacks in their countries of origin and in Australia. Hezbollah and the Iranians conduct widespread activities in Africa within the Shiite and Muslim communities. Indeed, wealthy Lebanese Shiite communities living in Africa (Ivory Coast, South Africa, and Senegal) donate to Hezbollah. Hezbollah maintains a presence in the Ivory Coast, Nigeria, South Africa, Zaire, Zimbabwe, Uganda, Sudan and additional places. Hezbollah activists and the Iranians cooperated with Bin Laden in Sudan between the years 1991 and 1996. Hezbollah also operates a diamond smuggling network from the African mines. In June of 2004, Hezbollah denied American claims that it was profiting from diamond trade in West Africa. 1. Governmental offices – The funds are transferred to Hezbollah by the "Revolutionary Guards" (the Quds Force) and the Foreign Ministry (via its embassy in Syria). 2. Semi-governmental bodies – Following the 1979 revolution, Iran established charitable funds that were subordinate to the Iranian leader. These funds have branches in Lebanon, which as part of the "export of the Islamic revolution" policies, grant widespread financial and social aid to Hezbollah and the Shiite population identified with it. 1. Fundraising in Lebanon and worldwide: Hezbollah raises millions of dollars a year in Lebanon and around the world (particularly among the Shiite Muslim communities). The money in Lebanon is raised through the "Assistance to the Islamic Resistance Fund", which belongs to Hezbollah. Worldwide, the fundraisers operate through charitable funds and local Shiite community centers. 2. Legitimate business activities: Alongside commercial companies that belong to Hezbollah or to its charitable organizations, Hezbollah activists are also involved in an array of legitimate business activities, such as the oil trade, real-estate, and small businesses. 3. Criminal activities in Lebanon and worldwide: Hezbollah activists are involved in two main fields – narcotics and counterfeiting. The organization's activists also deal in cigarettes, car theft, credit card fraud, etc’. 4. Receipt of part of the Lebanese government's budget: Hezbollah’s parliamentary faction, government ministers, and representatives in the municipalities are able to obtain Lebanese government funding for financing projects within the Shiite population centers in Lebanon. 1. Al-Mannar Television – Hezbollah’s main outlet, which is broadcasted by satellite to millions of viewers worldwide. In December of 2004, France outlawed the broadcasting of the channel via satellite in France. A week later, the US announced that the channel broadcasts terrorism-supporting propaganda. 2. Al-Nur Radio – broadcasted in Lebanon and disseminates the organization’s messages in Lebanon. 3. Internet websites – Hezbollah is one of the leading terrorist groups in the world in conducting psychological warfare and da’awa (preaching) through the internet. Hezbollah’s media network is used to: strengthen the organization and its leaders’ status in the public opinion in Lebanon and abroad, promote the organization’s ideology and strategic objectives, conduct psychological warfare against its opponents and propaganda amongst the rest of its listeners. The organization used the media to promote the Palestinian struggle during the Al-Aqsa Intifadah and the resistance to the Americans in Iraq. Shaul shai, “terror in the name of the Imam - twenty years of Shiite terrorism 1979-1999” (Herzliya - IDC, Israel, 2001) pp. 23-28. A partial list of reports on the matter can found in the following sources: "Hezbollah had plans to attack US, Israeli ships in Singapore" Agence France Press, 9 June 2002; "Hezbollah denies plan to attack US, Israeli ships in Singapore", Agence France Press, 10 June 2002; Matthew Levitt. "Hezbollah: A Case Study of Global Reach". The Washington Institute for Near East Policy; “9/11 Commission Finds Ties Between Al-Qeada and Iran", Time Magazine, 16 July 2004; 9/11 Commission Report, pp. 86, 128. See also Ely Karmon. "Fight on all Fronts, Hezbollah, the War on Terror and the War in Iraq". The Washington Institute Policy Focus, 2003, p.11. see also "Asian Organized Crime and Terrorist Activity in Canada, 1999-2000", Federal Research Division Library of the Congress Washington D.C. July 2003. p.34. For example, see report on recruitment through da’awa (preaching) in Romania: “Romanian Intelligence Report Cites Hezbollah, Islamic Liberation Party Activity” Bucharest Ziua, (in Romanian) 13 Feb, 2002, p.7. Http://www.intelligence.org.il/eng/bu/hizbullah/chap_d.doc, see also Al-Mannar from 30/6/04.